Vocational Diagnostics, Inc. is the authority in vocational damages assessment and life care planning. Specializing in catastrophic injury cases, we are the experts in the assessment of children and adults in a wide range of cases, including personal injury, divorce, medical malpractice and labor/employment. For more than 28 years, VDI has developed a well-deserved reputation for its unbiased expertise. The fact that both plaintiff and defense counsel routinely retain our services indicates the high level of respect VDI has on both sides of the aisle for the quality of our work. We are proud to provide unparalleled professional consulting and expert witness services to the legal and insurance communities throughout the U.S. and Canada. With over 90 scientific and engineering disciplines, Exponent's staff of approximately 900, located in 20 offices throughout the nation and 5 international offices, combines unparalleled technical expertise with the ability, when necessary, to focus this knowledge in extremely short time frames. Our multidisciplinary team of engineers, scientists and regulatory consultants will perform either in-depth scientific research and analysis, or very rapid-response evaluations, to provide our clients with the critical information that both day-to-day and strategic decisions can require. 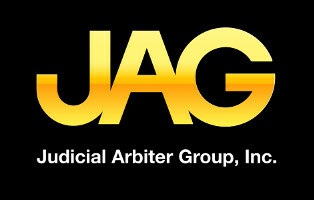 The JAG staff of arbiters is composed exclusively of former judges, who bring a wealth of dispute resolution and litigation management experience. Our mission is to provide the legal and business communities, on a local and national basis, with quality, cost effective, efficient and wide-ranging professional dispute resolution, litigation assistance and education programs. 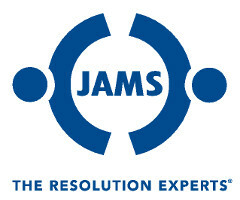 Tens of thousands of individuals and businesses have benefited from our effective alternative dispute resolution and litigation management services. J.S. Held is a global multidisciplinary consulting firm specializing in construction consulting, property damage assessments, surety services, engineering consulting, environmental health & safety services, builders risk, project & program management, and construction defect. Our team is a multi-talented group of professionals who collectively bring years of technical field experience to provide consulting services in construction and related fields. Our collaborative spirit puts us in a unique position to offer clients the highest level of technical expertise and unsurpassed client service. Our understanding of how projects are both planned and built and our uncompromising commitment to our clients ensures our position as one of the leading construction and environmental consulting firms in the world. For nearly fifty years, Agren Blando Court Reporting & Video, Inc. has steadily grown into one of the largest and most reputable court reporting firms in Colorado. We work closely with individual practitioners as well as the world's most prestigious law firms and corporations. Agren Blando has developed a reputation for accuracy, innovation, and dedicated service. We have a network of thousands of court reporters available anywhere from coast to coast and internationally. We are proud to be large enough to handle the most challenging litigation demands, yet staffed adequately to give personal and careful attention to each individual client. Donan is a full-service, world class forensic investigation firm with offices throughout the United States. Their services include forensic engineering, fire investigation, component testing, UAV services, and litigation support. Founded in 2005, our experts have performed investigations in all 50 States. We have technical expertise in areas including explosions, electrical failure analysis, fires, fire suppression systems, civil and structural assessments and carbon monoxide incidents - just to name a few! Mechanical HVAC, Plumbing, Electrical and Fire Protection Experts and Consultants Since 1999, PCD Engineering is a recognized leader in creating and maintaining high performance buildings and performing smart, accurate and comprehensive forensic investigations. Collectively our senior engineering staff - Owner - Peter D’Antonio, PE; Vice President - David Olson, PE, and Director of Engineering - Ken Caudle, PE have decades of experience in all aspects of mechanical and electrical building construction design, commissioning, operation and consulting. David Olson, who grew up and studied in Colorado, earned his Bachelor’s Degree in Civil and Environmental Engineering from the University of Colorado. David is the Engineer of Record for over 3,300 HVAC, Plumbing and Fire Protection projects conducted during his tenure as a practicing mechanical engineer, engineering firm Owner and building performance consultant. His experience and knowledge of mechanical system design, construction and system operation provides a natural foundation for the expert consulting and forensic engineering that he provides. Dave has provided extensive defense and plaintiff services for all phases of dispute resolution and litigation support. He is detailed, very thorough and organized with the written reports he produces. He understands the importance of defending all statements included within documents he authors. He appreciates the need to complete all assignments on time and for reasonable costs. Dave, an ASHRAE Fellow, applies seasoned engineering judgment from initial discussions and document review, through site investigation and testing services, culminating in complete, objective, unbiased, clear and conclusive documentation. Dave has consistently provided confident and effective testimony within settlement conferences, depositions and trial and arbitration appearances. Cyopsis is an industry leader in data collection, investigation, analysis, and discovery production. We do much more than solve problems; our skills and insights can also prevent them. Our team brings decades of experience in a wide range of industries and complex matters, from sensitive government investigations to corporate operations and civil and criminal litigation. 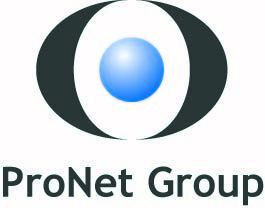 Our services include the full scope of the EDR Model and more: ESI identification and mapping, forensic preservation and processing of all types of data; complex computer forensics analysis; early case assessment; hosted review platform with advanced analytics; full litigation and trial support; expert witness support; data breach response; and a full range of investigative and technical countermeasures. In the aftermath of a motor vehicle accident, you need a forensic engineering firm that can act fast—without sacrificing accuracy. At DELTA |v|, our rapid response teams are ready to deploy, whenever and wherever collisions happen. We combine unmatched forensic expertise and objectivity with groundbreaking technology to bring our clients the fastest and most precise insights available. Our team has investigated thousands of accidents around the country, translating evidence into compelling testimony and helping clients through every step of the legal process. When time and accuracy matter most, trust DELTA |v|. 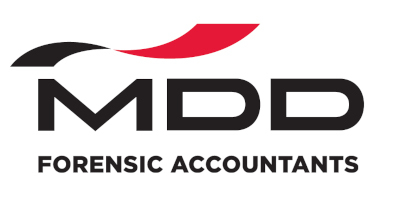 MDD's forensic accountants provide litigation services and expert witness testimony in courts, arbitrations and mediations around the world. Time and again, our assessments have stood up to the scrutiny of cross-examination, making our firm the choice of legal professionals around the world. For more information, contact Dennis Corrigan, CPA at dcorrigan@mdd.com or 303-990-8113. Baker Tilly is a leading advisory, tax and assurance firm whose specialized professionals guide clients through an ever-changing business world, helping them win now and anticipate tomorrow. Advanced Professional Investigations is a local investigator-owned company centrally located and serving all of Colorado. Years of in-field experience in insurance defense, fraud and worker's compensation claims investigations, and family law investigations have enabled API to put together one of the most specialized and highly skilled team of licensed investigators in Colorado. We maintain the highest integrity and consistency, ensuring our methods, techniques and documentation will be upheld in a legal setting. We find timely solutions to our clients' objectives. When you partner with Advanced Professional Investigations, you partner with a leader in the profession. TriMountain offers insurance, brokerage and risk management consulting services to middle market companies - those that often find themselves begging for the attention paid to large corporations and are too big for small brokers with limited relationships. Our mission is to provide industry leading insurance, brokerage and consulting products and services by leveraging award winning technology, operating in a transparent way with our clients and demonstrating integrity, knowledge and a commitment to getting it done right the first time. We are excited about our growing partnership with the CDLA and its members. For more information visit our website at www.trimountaincorp.com or call 720-708-4155. Founded in 1980, JENSEN HUGHES, Inc. is a global company headquartered in Baltimore, MD. As one of the largest fire protection and life safety engineering and consulting firms with offices worldwide, JENSEN HUGHES is able to provide the support and responsiveness that our clients need. Our technical experts stay on the cutting edge of evolving fire and life safety codes and regulations and are able to provide timely and accurate consulting and design services. We remain committed to providing our clients with cost-effective, high quality services that are crucial to the protection of life, property, and the environment. ExamWorks, Inc. is a leading provider of independent medical examination, peer review and related services. We help clients manage costs by verifying the validity, nature, cause and extent of claims and providing fast, efficient, quality IME services. ExamWorks’ panel of medical experts is subject to rigorous credentialing requirements and primary source verification. ExamWorks’ Virtual Private Cloud Computing Platform and Services embody the industry’s most rigorous controls for the protection and security of customers’ confidential information. Owned and operated by former litigation attorney Ingrid Vinci, Search4Experts takes the time to understand your case and locate relevant, qualified experts to address your needs. Unlike its competitors, Search4Experts does not charge a service fee for its expert locator services. We can locate any type of expert you may need. 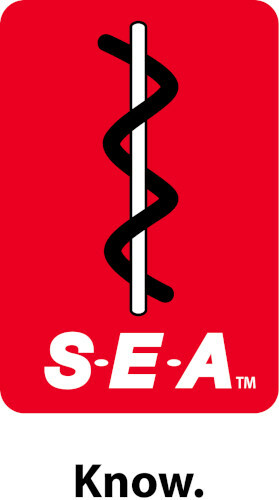 Please visit our website, www.search4experts.com, for more information. Fay Engineering Corporation, based in Denver, Colorado, provides Accident Investigation, Computer Graphics, Testing and Expert Witness Testimony for the legal and insurance professions since 1971. We specialize in, but are not limited to Automotive Engineering, Mechanical Engineering, Electrical Engineering, Structural Engineering and Civil Engineering, as well as Fire and Gas Explosion investigations. We also provide risk management tools through our interactive vehicle safety training programs. Since 1983, Rimkus Consulting Group, Inc. has built and maintained a reputation of quality, reliability, and integrity in service to its clients. Our staff of forensic professionals is dedicated to fast, efficient response and delivering a product of uncompromising quality. We have a local office in Denver, and 29 offices across the country to assist you with your forensic needs. Please contact us at 720-488-8710. Hunter + Geist is Denver's premier full-service court reporting, legal videography, and videoconferencing firm. We have been serving the Denver legal community for over 30 years. We specialize in realtime reporting with 13 certified realtime reporters. Our court reporters' expertise is unparalleled. Hunter + Geist, Inc., provides attorneys and paralegals with state-of-the-art litigation support, as well as timely and accurate transcripts. We understand the demands placed on our clients in their day-to-day work, and we provide the necessary tools to be a successful part of a legal team. At Hunter + Geist, we are proud of our outstanding client support. We consistently provide the Denver legal community with the latest trends in the industry. It is our goal to meet and exceed the expectations of our clients. We welcome the opportunity to work alongside you, and we strive to build on the lasting relationships we've developed with our clientele. When you partner with Braddy Investigative Group, no undertaking is too complex, and no detail too small to merit consideration. Over the years, we’ve been instrumental in lending a discreet and accurate investigative approach that translates into conclusive results, which are vital to meeting the expectations of our clients. Do you wish your firm could plan, manage, and execute legal matters with confidence? Thomson Reuters Panoramic makes it possible. RIVET provides engineering services in three primary service lines: Consulting, Design and Forensics. Our professionally licensed and experienced engineers provide down-to-earth solutions for clients needing assistance with new or proposed construction projects as well as clients seeking assistance with existing property issues. The professional Engineers and Architects at WERC are available to assist you in evaluating structural damage, code compliance issues, standard of care claims and liability allocation all types of structures, including, high-rise offices, schools, single and multi-family residences, bridges, hospitals, storage facilities, and much more. Insight Investigative Services is a Colorado based full service investigation firm. We offer a variety of investigative services for businesses, attorneys, the insurance industry, HR/risk managers and private individuals to assist with their legal, financial and personal problems.